So Adorable! 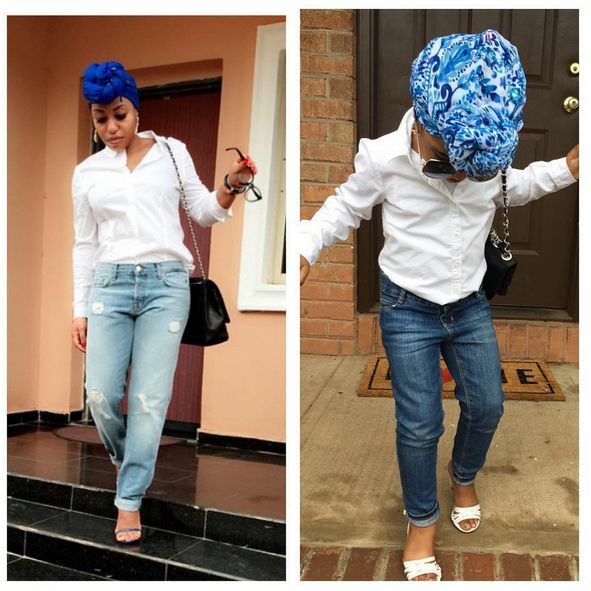 This Little Girl Loves Rita Dominic’s Style So Much She Imitates It! So Adorable! 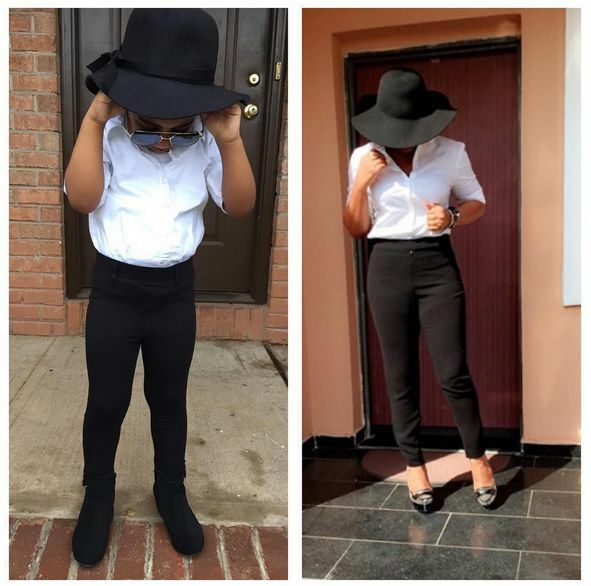 This Little Girl Loves Rita Dominic's Style So Much She Imitates It! 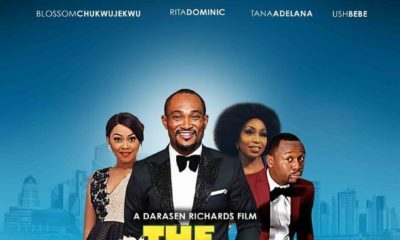 It looks like we aren’t the only ones who have noticed Rita Dominic‘s killer fashion sense. There’s a cute little girl – one part of the stylish duo Crystal & Cherish who share their stylish pictures with their over 1,400 followers on Instagram; who just loves Rita Dominic’s style. She emulates her style on her social media page, run by her mother, and Rita has noticed. The movie star re-posted 2 photos from her little adorable fan on her Instagram page a few hours ago, and we are loving her already! Wow…TY Bello has chopped off her Signature Afro – See her New Look! Jennifer Lopez wore 10 Outfits to Host the 2015 AMA & Slayed EVERY Time! Super Adobs…..me think the look is too matured for her age. No! 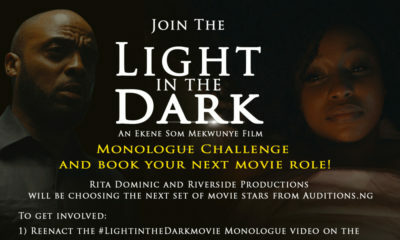 The girl, who is truly cute, is not the one who is imitating Rita Dominic or commenting online. It’s her mother who is vicariously living through her! Y’all need to chill. Can kids have fun? Whether mom is living vicariously through whatever so freaking what. Nigerians are so annoying, with their I too know attitude or goodie too shoes which is all pretense. U ‘re off point. miss NON NAIJA. greater sense has not been said on this blog in a long while. Na so! Parents forever exploiting their kids with the use of social media. To each his own. But really I find it weird when parents open Instagram accounts for little children exposing them to all sorts. And then when they grow up to be too advanced for their age everyone starts to para! Please let children be children. Dress them like one as well. She liked it and imitated it abi her mother liked it and made her daughter imitate it. Lol, @go read your books now….true though. 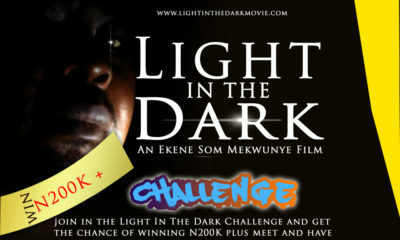 Wow so lovely, I actually see a rita dominic in her. What a waste of a childhood, what is the mother trying to teach the daughter? Is this validating her by teaching her to imitate celeb? What value does it add to herself esteem? She can and will imitate celeb and even idolize them all by herself when she is grown. U need to teach her now, that what she wear or look like is not important, teach her chess, piano, painting,… Don’t let her grow up needing to imitate and wait for online validation to feel whole…. Trust you bellanaija to use my comment to fry your dodo. Lol. Eku ‘Posh and classy’ o n ba yin lo. Rada rada! This is very cute but dear mother why did you not copy Rita’s style yourself? Why use your daughter as your tool? You mothers looking for all sorts of validation on social media through your children should sha be careful, life is realer than Instagram ni o! Please go and marry and have children. People are so mean sha. This girl is my daughter’s friend. I’ve known her mom for years and she so loves fashion like many of us do. So what if she dresses her kids up? Who doesn’t? Does it mean her kids don’t go to school or that the mom, who is a wonderful business woman and great mom by the way, is seeking relevance? She posted it on her page, BN chose to make a post, how is she seeking relevance? How is she exploiting her child? Mtcheew. People just making rubbish comments as if they know everything. She’s yr daughter’s friend so she’s just got to be right yeah? Think, Mrs. C! Think!! Nwanne mmadu. I understand your loyalty sha. I would do that for a friend in this case and not for murder(hahahahahahaha) but think am nah. She took the pain to get pick out rita’s outfits,decided that she’l do a side by side using her daughter in similar style..Mbanu. We know that some mums are obsessed with this kind of thing(toddlers and tiaras ish, IG child star ish) I don’t ever support anyone heaping insults on a child nor the mum but abeg,from a mum to another, This thing get as e be. It’s not about loyalty. The girl is not wearing a crop top with bum shorts. I don’t know what all the hateful comments are about. It’s her daughter, how she chooses to dress her shouldn’t pain you ITK Angels so much. Please! There’s nothing wrong in playing dress up and putting up the pics. But a side by side pic with the same outfit and almost same pose is just ridiculous my dear. why do i strongly suspect you’re the mum? @sayso, Looool. I would never deny my child boo boo. Try again. Honestly why do people attach negativity to everything ? Because she dresses like Rita means she isn’t studying ? And those that said she dresses like an adult , is she wearing an adult clothe ? You can dress your child the way you want people . Because she isn’t wearing tutu , pinkish outfits and character clothes now she is an adult ? And some say is a waste of childhood ? Waooooo we Nigerians can never stop hating on one another and that’s why we can’t move forward . All these harsh words for a child who happen to like Rita’s style ? Even if her mom admires Rita and decided to dress her daughter like that , isn’t she her daughter ? What’s wrong with that? Be mindful of he words and curses you render on someone else’s child because it might just be your child getting all the bashing but in another scenario . The bible says “speak less and listen more , the power of life and death lies in the tongue . Who cursed the child? Mothers condemning an act is a curse? Nobody bashed the child please. Dont come here and accuse people. Bellanigerians, you people are bitter sha. Sorry Damilola, how is it doing? Where and where is it doing you? Abeg how Rita take tie that scarf? I am having a bad hair week and i need some tips to tie scarf nicely to work biko… help a sister out. Little girl too cute btw. The level of inferiority being exhibited by adults in the present generation is worrying. Have we always had this psychological defect and it only got exposed by social media or is it a new anomaly? This has absolutely nothing to do with negativity but all to do with adults who are expending energy living the life of others through their young kids. Hmn allow the little girl and her mother drink water and put the cup down! Not everyone wants their kids to be doctors, lawyers, architects, engineers etc. Some have to grow up to be Instagram posers who can’t afford the basics, Kim Kardashian and “whatsherface… Short hair stripper lady wannabes, like them! How is it your business how people bring up their kids? Dressing a child up can be fun, especially daughters. I sometimes dress up my daughter in similar outfits as mine, when I have the energy. But dressings up your child to look like Rica Dominic looks somehow to me. Like someone said, you’re imposing a personality on the child. But then, does that mean by dressing up my daughter to look like me I’m imposing my personality on her? I’m a little confused about the matter.